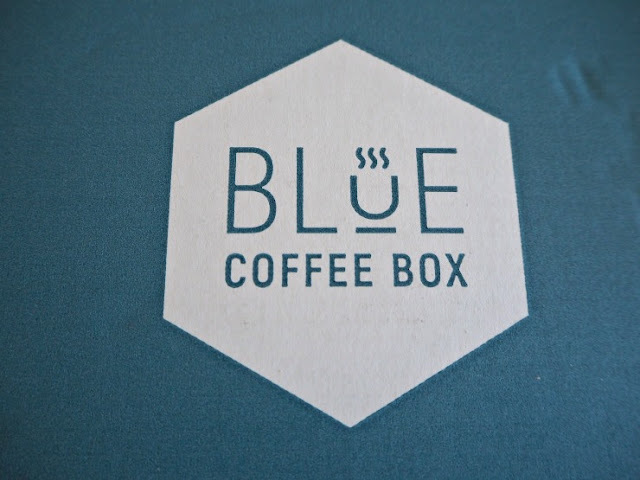 The Blue Coffee box is a subscription service for the freshest coffee to be delivered to your door. 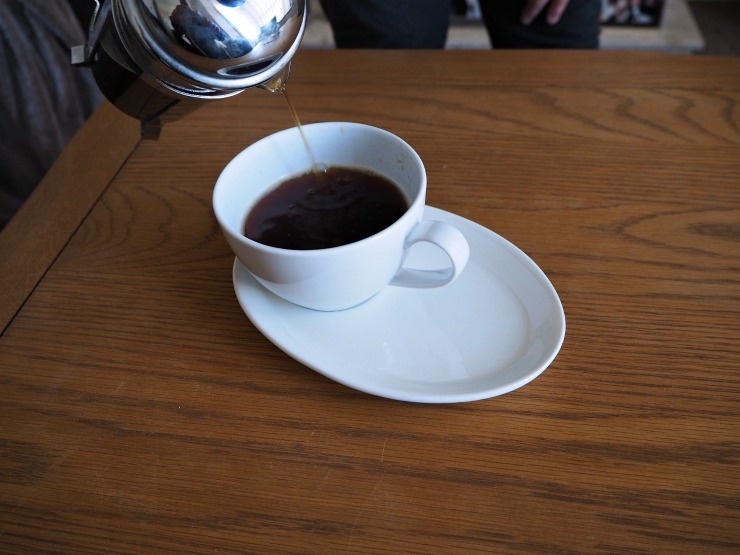 For a monthly cost, speciality arabica coffee from over 17 different countries are selected for your taste preference, hand roasted and delivered to you. What I like is that you don't have to have a box every month, so you are in control. This is perfect for someone like me that adores travelling and whose plans change from one day to the next. However, the boxes are also letterbox friendly so you don't have to be in to receive the parcel. The coffee is ethically sourced direct from the farmers, so there is no middleman taking all the profits, so you know the farmers are getting a decent price. That is always good to know. You can order a bag at £7.99 a month or a box of three bags at £16.99. Delivery is always free. You select how your coffee is prepared - beans, cafetiere, dripper and espresso. You can even send it as a gift, which can be a thoughtful idea for all your coffee loving friends, especially at Christmas. The coffee comes in bags, you snip off the top, use what you want, and the bag is then resealable, keeping all the freshness in. It was exciting getting the box and trying the different coffees. With each bag comes an information card explaining where the coffee is from, and notes such as how it is harvested, how it is farmed and processed. It was interesting reading about the farmers especially. 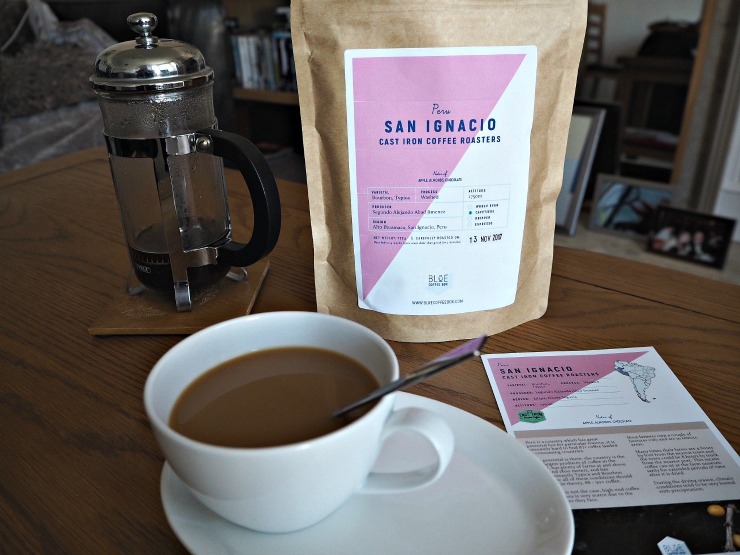 I really enjoyed tasting the San Ignacio coffee from the Cast Iron Cofee Roasters. It was rich and yet mellow, without the bitterness you can get from some coffees, and has hints of chocolate in the flavour. 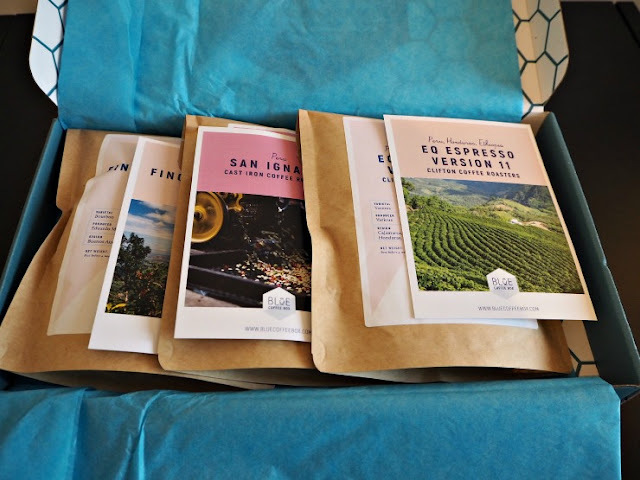 The EQ Espresso Version 11 from Clifton Coffee Roasters was sweet and vibrant whilst the Finca Las Nubes from Campbell and Syme had flavours of fig, grape and toffee. If you want to try the coffee I have a code for my lovely readers FD518. Enter this at checkout to get £5 off your first order. 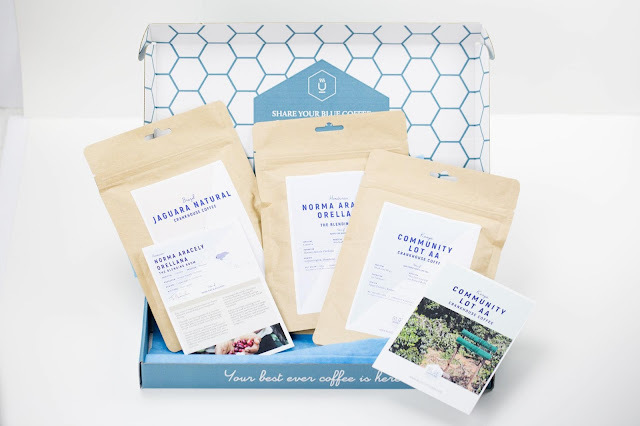 Today on my blog I am giving you a chance to win a three-month subscription for one of the boxes worth £16.99 a month. Winner will be contacted within 7 days of the competition ending. Coffee will vary from that shown based on preference and availability. If I do not hear from the winner within 28 days I reserve the right to redraw. I like mine strong but milky! I like my coffee strong with milk. Strong with a dash of milk, no sugar. In a coffee and walnut cake, I'm not a coffee drinker. My partner loves coffee though, she likes it with milk or cream and sugar. I like coffee with a little milk. I like a strong coffee with milk and 1 teaspoon sugar. Either strong & black (no sugar) or weak & white (no sugar) but nothing in between! Fairly strong, made in a cafetiere. I like a dark roast and take it black, no sugar. Just with a drop of milk. I like my coffee black and with my children in another room. Who am I kidding? If the children are elsewhere, I like it however it comes! I like my coffee strong and with milk. Sugar and a dash of milk. With a little bit of milk and sugar. Hazelnut coffee is my favourite. hot with lots of milk!!! I like my coffee strong as strong! I like my coffee strong, no sugar, and with just a drop of milk! Strong but with lots of milk. Depends on my mood - sometimes strong, black and sweet espresso but sometimes with cream and no sugar! In a cappuccino with soya milk, and topped with dairy-free chocolate. white, fairly strong with no sugar - preferably served with chocolate biscuits! I like a milky coffee with one sugar. I don’t like it at all! But my husband who I’m trying to win this for likes his milky. Strong, black with no sugar if you're making please! rich, no sugar with a frothy top! 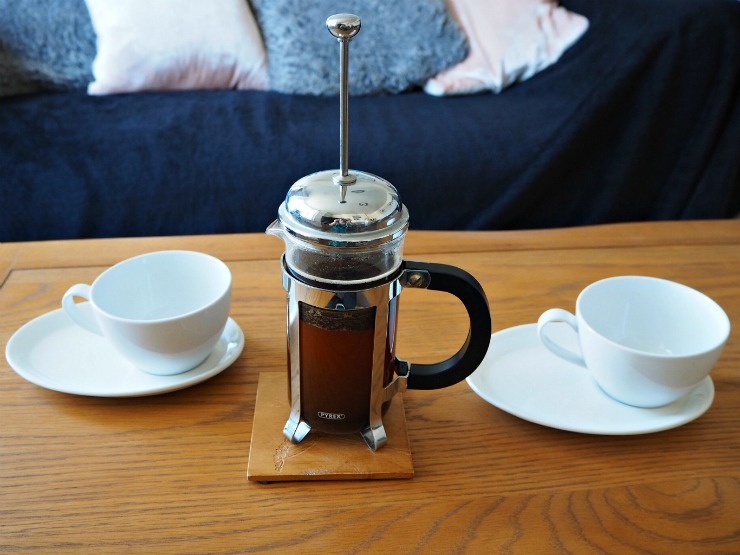 I don't like Coffee but my husband has just discovered a love for it so I would love to have this for him as he is still learning what blends he likes, although he has decided he likes it strong with sugar! I like my coffee strong enough to knock my socks off. I like it strong too. Just a splash of milk and one sugar. I like mine with milk, no sugar. I like mine first thing in the morning . Strong and sweet a bit like myself lol. Little bit of milk but no sugar. As an ice cream! Its my husband who is the coffee freak. Loves it really strong sometimes with a drop of milk. Medium strength with a pinch of cinnamon and a dash of almond milk. I like my coffee strong and with some milk.